“Sailing is a wonderful and very unique sport. At the top end it can be considered to be incredibly technical and one of the most difficult sports, a game of chess on the water. However at the other end of the spectrum sailing can be as simple as wanting to get from A to B, powered by the wind at one with nature and whatever conditions she chooses to present. After 30 years of sailing, most of them spent competing at the top and with a Gold and Bronze medal from the Paralympic Games; I still don’t know everything there is to know about our sport. Every time I step into a different class, or sail with other people I learn something new and that is what I love about sailing, its diversity. In interviews I would often be asked,” What do you do in your down time to relax?” My reply would be “Go sailing with my husband on our yacht!” There would be quite a confused and baffled look on the interviewer’s face (clearly not a sailor). I started sailing as a child and remember that amazing feeling of pushing off the dock in my Topper completely independent, mum and dad onshore busy rigging up their Enterprise, all of us preparing to take part in the club race. Sailing is very much all inclusive and unique in that I can’t think of another sport where old and young, male and female, able bodied and disabled can compete together on an even playing field. It is often the old wise head that gets the better of the young, fit, enthusiastic, but naive youngster”. 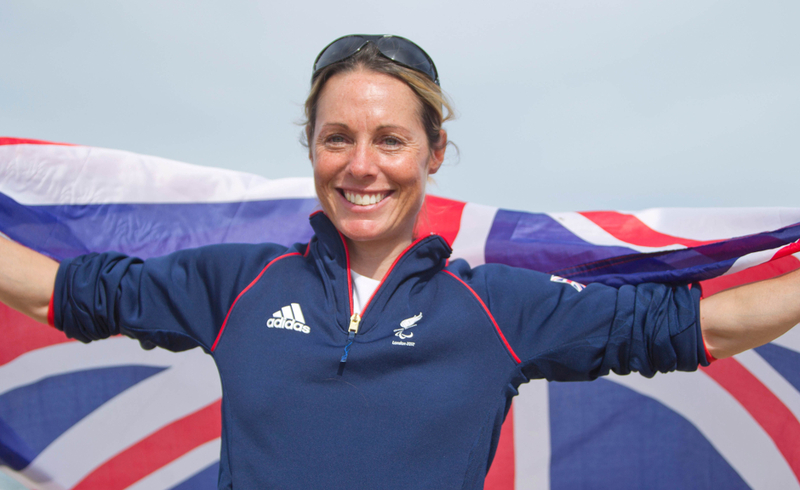 “I have been fortunate enough to have been part of the British Sailing team for 20 years, initially campaigning for the Sydney and Athens Olympics in the 470 class before switching to the 2.4mR and competing at 3 Paralympic Games winning Gold in London and Bronze in Rio. It was when I made the switch to the 2.4mR that my eyes were truly opened to how amazing sailing is. In the dinghy park I would be mixing with sailors with all sorts of disabilities, but on the water it was as if they had left their disability ashore. You could not tell who was a paraplegic, who was missing an arm or a leg; it was about the skill of the sailor not the physical ability. Given the right boat and the right adaptations anyone with any disability can go sailing and compete at the highest level if they are a good enough. For example the 2.4mR was designed as part of the metre family and is a very popular class in Scandinavia, however because of its design it was selected as one of the Paralympic classes. 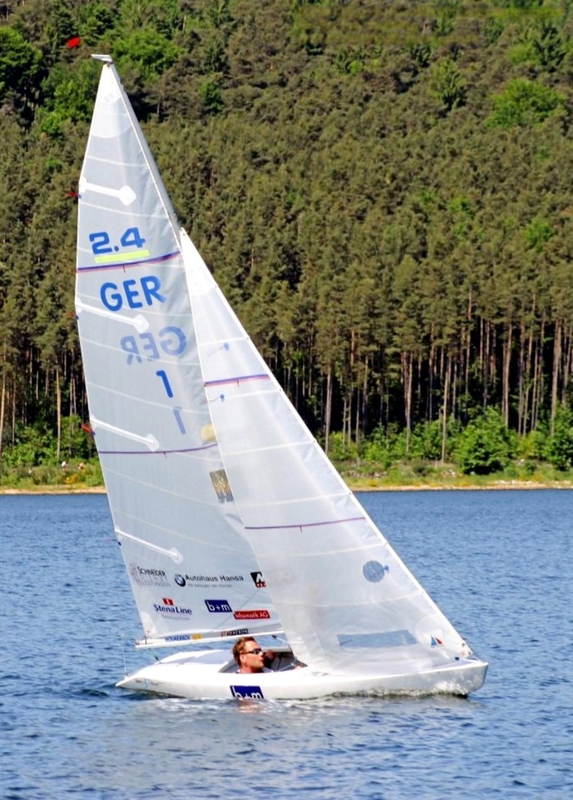 At the Open Worlds it is often the Paralympic sailors dominating the podium in large fleets of up to 100 boats. There are other boats out there offering the same experience, for example the RS Venture and the Sonar.